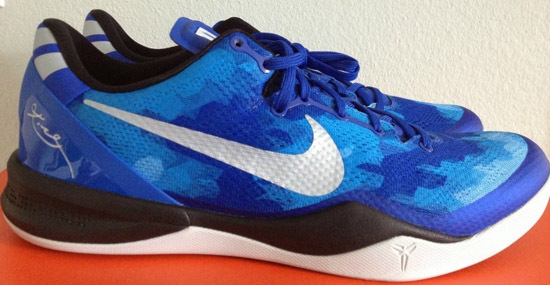 This Kobe 8 was made exclusively for the Blue Devil's to wear this past season. Check out the auction here. 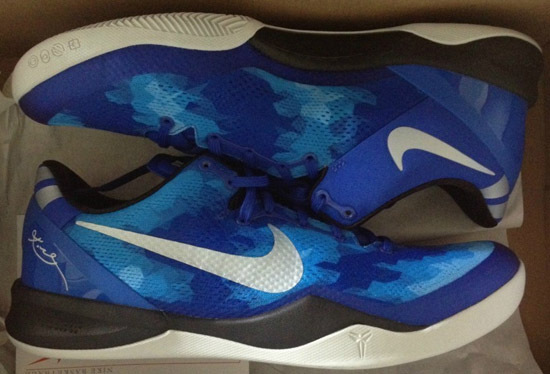 Here is a player exclusive colorway of the Nike Kobe 8 System. Made for the Duke University men's basketball team. 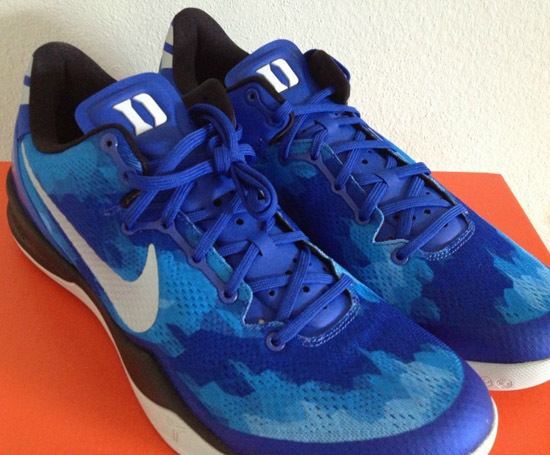 They come in a photo blue, white and black colorway, matching the Blue Devil's team colors. The Duke "D" logo is found on the tongue. Similar to the released "Blue Glow" edition except with a few differences. 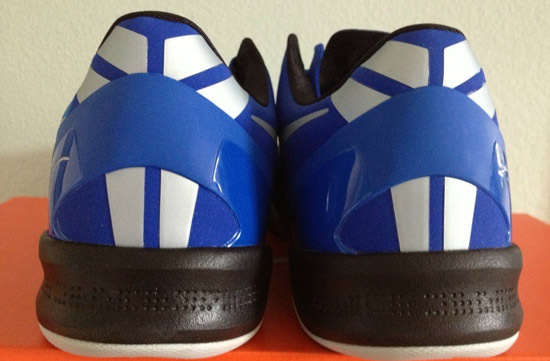 As these are player exclusives, they were made exclusively for the Duke Blue Devils and were never sold in stores or available to the public. 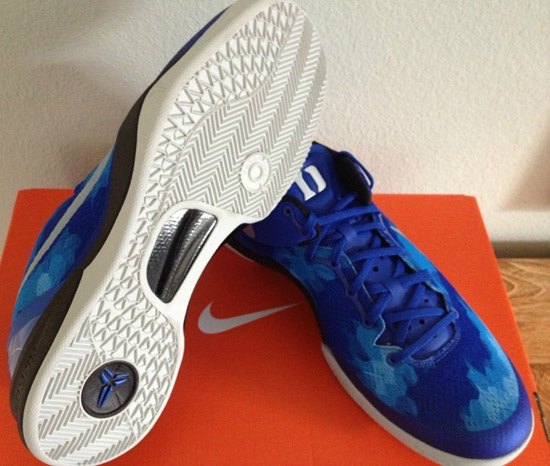 Enjoy the images below of the "Duke Blue Devils" Nike Kobe 8 System player exclusive in photo blue, white and black. If you can fit a size 12 or, would like to add these to your collection, you can click here to buy them on eBay.